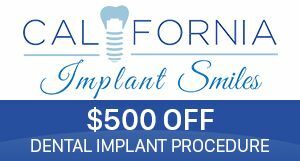 Smile Implant Center in Newport Beach and Santa Ana, CA has permanently closed its operations and filed for bankruptcy. If you were once a patient of Smile Implant Center your dental record is now in our facility. If you were left with unfinished dental treatment or require maintenance of your implants or dentures, we are here to help. We have successfully completed treatment for former Smile Implant Center patients with excellent results. We have the unique knowledge and understanding of the different Implant systems used at Smile Implant Center which is one of the biggest challenges that other dental offices face when continuing any unfinished or failing treatment. Our state-of-the-art facility is one of the largest multi-specialty offices in Orange County. We were designated a custodian of your records because we are one of the few offices in Southern California equipped and trained to manage your treatment. A common concern among patients in your situation is how to keep your implants and dentures clean. Build-up of plaque and bacteria around the implants can very easily lead to gum disease and possible failure of your implants. A dental cleaning by a trained hygienist and proper home care are pivotal to making sure that you can enjoy your investment for years to come.In an effort to promote your dental health, we would like to invite you to our office for a complimentary dental examination (including any necessary x-rays or CT scans). Simply call our office and mention this letter to schedule your evaluation. We accept most dental insurances and offer easy payment plans.